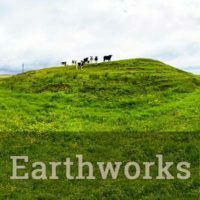 Drag within the image to view the Doagh Holestone in virtual reality. 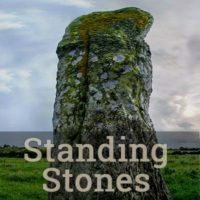 This 1.39 m (4.5 ft) tall standing stone, with its prominent perforation, is known locally both as the Holestone and the Lovestone. 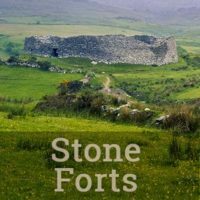 The reason for the first name is evident, while the second name for the stone requires a bit of explanation. 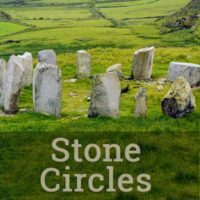 While some holed stones in Ireland are known for oath-making and others for use in childbirth,2 the Doagh Holestone, 1.6 km (1 mi) outside of Doagh on Holestone Road, has acquired a reputation as the place to exchange marriage vows. 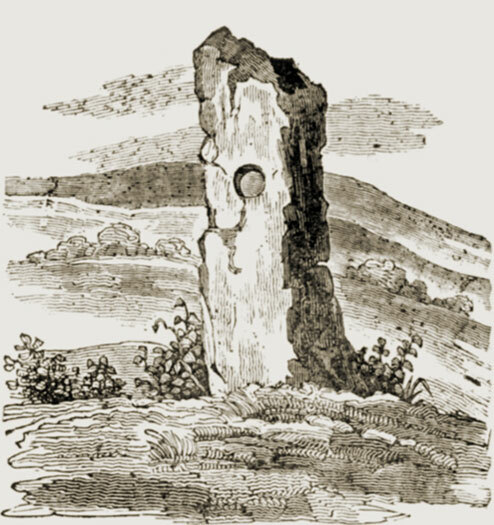 Although the waist-high hole in the pillar is but 8 cm (3 in) in diameter, it is sufficient for a woman’s hand to pass through, where she may grasp the hand of her intended on the opposite side of the stone. 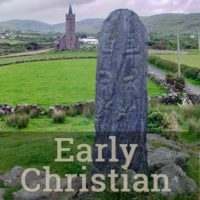 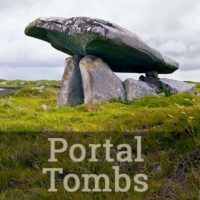 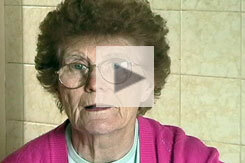 Tessie Agnew and Elizabeth Wilson discuss the betrothal rituals associated with the Doagh Holestone (1998). 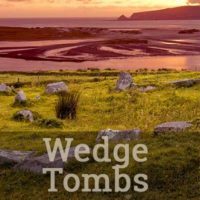 At any time during the warmer months of the year a visitor to the Doagh Holestone might find the ground blanketed in colorful flower petals, the remnants of a recent visit by newlyweds clasping hands through the hole. 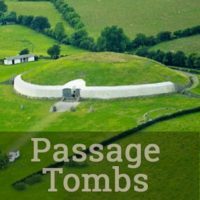 Their family and friends attend this modern rendition of a time-honored local practice, blissfully unmindful of a hand stuck in the stone generations ago or other, more ancient and pagan activities at the site.